Demonstrating a balanced treatment of both classical and Keynesian economics, Macroeconomics presents macroeconomic theory in a big-picture way. Comprehensive coverage makes it easy for instructors to align chapters to fit their own syllabi, and the text helps instructors prepare students to analyse real macroeconomic data used by policy makers and researchers. 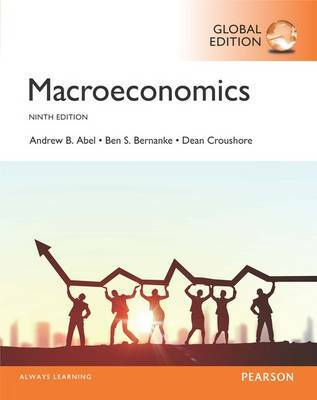 This text uses a unified approach based on a single economics model that provides students with a clear understanding of macroeconomics and its classical and Keynesian assumptions. The 9th Edition features new applications, boxes, and problems throughout and reflects recent events and developments in the field in light of recent crises in the United States and Europe.